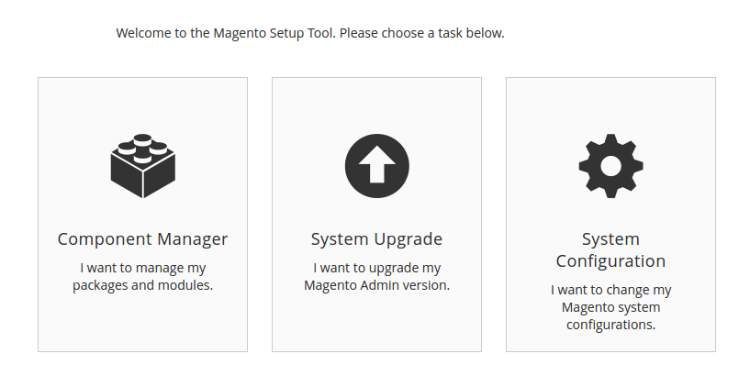 How to install Cart2Cart Migration from OpenCart module on Magento 2? 2. 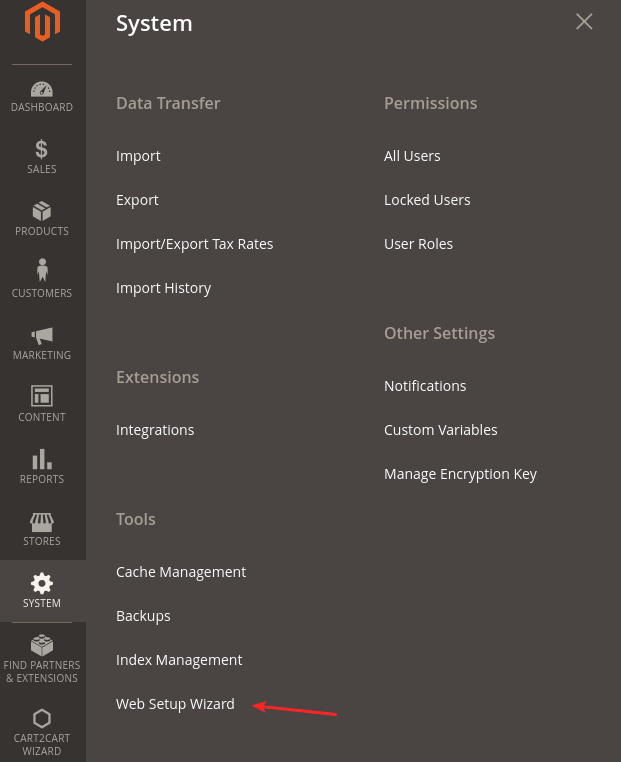 Then, login to Magento 2 admin panel. Choose Marketplace tab and open My Access Key. 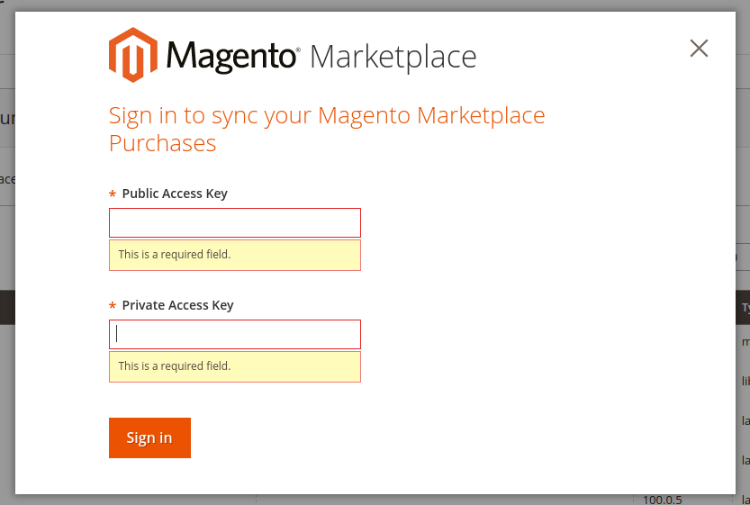 Then, open Magento 2 tab and copy the needed accesses. If you don’t have an Access Key yet, create a new one. 10. Afterwards, launch the three extension installation stages (Readiness Check, Create Back Up, Component Install) one by one. In case an error occurs during Readiness Check - make sure your cron jobs are set up properly. How to use the plugin once it is installed? If your Cart2Cart installation were done properly, you should see the Cart2Cart Wizard menu on the bottom of the page - open it. Log in to your Cart2Cart account if you are registered. If not - create one, or use your Facebook (Google Plus) account. Provide your OpenCart store URL, download the Connection Bridge, , unzip and upload it to your OpenCart root folder. For your target Magento cart, simply press “Install Connection Bridge” button. Choose entities you wish to migrate and, optionally, some additional options to expand your migration possibilities. Launch free Demo Migration, and a limited number of entities will be moved to your live Magento store in 30 minutes. Once the procedure is done, select Migration Insurance Plan, if needed. After that launch Full Migration by clicking on “Start Migration” button. Afterwards, you’ll get redirected to Cart2Cart’s official website to complete the payment and finish the transfer.